Bike Talk airs every Saturday at 10 am; listen to it live or download the podcast from KPFK. It’s the Carmageddon grudge match of the century as L.A.’s own Wolfpack Hustle takes on Jet Blue on Saturday, July 16th. Follow along online as five cyclists race passengers Joe Anthony and Erza Horne on a Jet Blue flight from Burbank to Long Beach to see who can arrive at the Light House in Shoreline Aquatic Park first. The action starts at 10:50 am near Cahuenga and Chandler in North Hollywood, and is expected to conclude between 1:15 and 1:30 pm. Follow along on the Twitter hashtag #FlightVsBike, or a live tracking GPS courtesy of L.A. Streetsblog; rumor has it there may be a party afterwards. The LACBC invites you to join them in a free guided ride to the Eat Real Festival in Culver City this Saturday, July 16th and Sunday, July 17th. 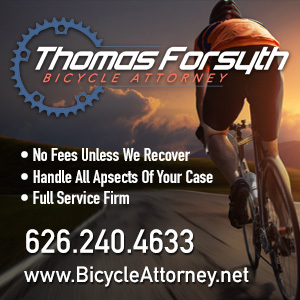 The ride meets at 10:30 am both days at the corner of Western Ave and Wilshire Blvd, and commences promptly at 11. The Festival will take place from 10:30 am to 9 pm both days at the historic Helms Bakery District, 8800 Venice Blvd. 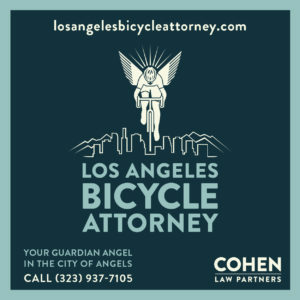 A bike valet will be available courtesy of the Bikerowave and the Culver City Bicycle Coalition from 10 am to 6 pm Saturday, and 10 am to 5 pm Sunday. The Paramount Grand Prix takes place this Sunday, July 17th, with the first race starting at 7:30 am and the last race starting at 3:40 pm; registration takes place at the intersection of S. Broadwick and Paulhan Streets in Rancho Dominguez. L.A.’s groundbreaking, first-of-its-kind Bicyclist Anti-Harassment Ordinance comes up for a final vote before the full City Council on Wednesday, July 20th, at L.A. City Hall, 200 North Main Street. The session starts at 10 am, item #19 on the agenda. 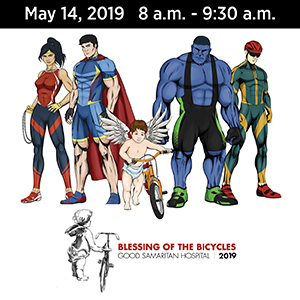 Cyclists are encouraged to attend and show their support. Later that same day, Wednesday, July 20th, the LACBC Board of Directors will hold their monthly meeting at the Encino Velodrome, 17301 Oxnard Street in Encino, beginning at 6:30 pm. 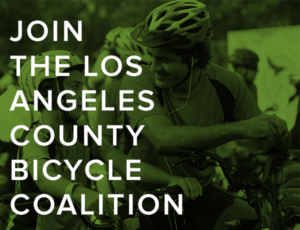 The meeting is open to the public; your opportunity to meet the board members, learn what the LACBC is doing and express your interests and concerns about bicycling throughout Los Angeles County. And yes, I’ll be there. Also on Wednesday the 20th, Global Green and the Santa Monica Transportation Department are co-hosting a community forum on bringing bike share to Santa Monica. The meeting takes place from 6 pm to 8 pm at the Santa Monica Civic Center, 1855 Main Street. Flying Pigeon hosts their monthly Get Sum Dim Sum Ride on Sunday, July 17th at 10 am; the ride meets at Flying Pigeon Bike Shop, 3714 North Figueroa Street in Highland Park. West L.A.’s annual Brentwood Grand Prix will take place on Sunday, August 7th on San Vicente Blvd in Brentwood; races start at 7 am and run through 4 pm. Tuesday, August 30th, Santa Monica’s Library Alehouse will host a benefit night for Streetsblog LA; 5% of all food and drink purchases will benefit Streetsblog; 2911 Main Street. Mark your calendar for L.A.’s Ultimate Bike Weekend, as the 2011 L.A. edition of the Tour de Fat comes to town on Saturday, October 8th, followed by the next CicLAvia on Sunday, October 9th, offering an expanded route taking participants another 2.5 miles into Boyle Heights. Finally, the LACBC’s City of Lights Program will host their 2nd Annual City of Lights Awards/Fundraising Dinner on Thursday, October 27th from 6 to 11 pm at CARECEN HQ, 2845 W 7th Street. Tickets will be available for $45 later this year.